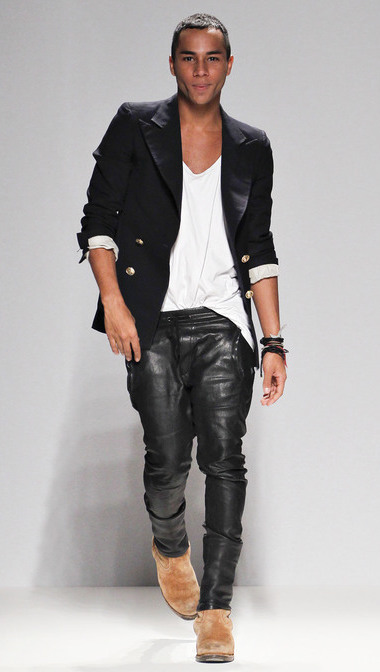 Balmain (Spring/Summer 2013): Olivier Rousteing gave us all the glamour we would expect from The House of Balmain, a menswear inspired collection with high shoulders and waistlines, much like the statuesque beauties of the 80s, from Brigitte Nielsen in Beverly Hills Cop 2 to Grace Jones album cover NightClubbing. 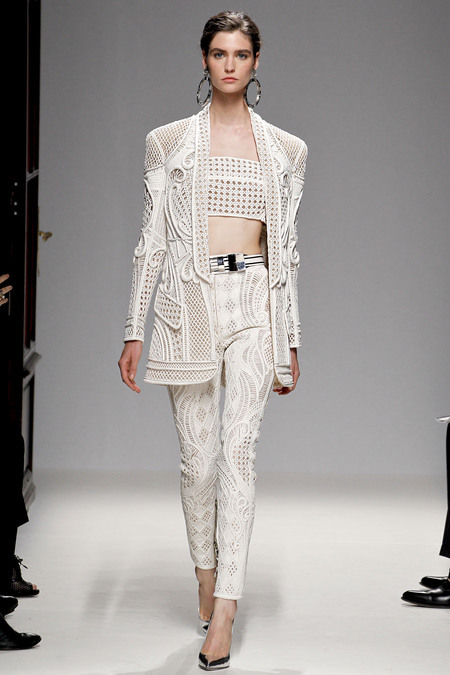 With an eye for re-invention, Rousteing used state-of-the-art embroidery, while embracing the classic woven elegance of Bottega Veneta mixed with the modern sass of Alexander Wang’s Fall/Winter 2012 perforated collection. 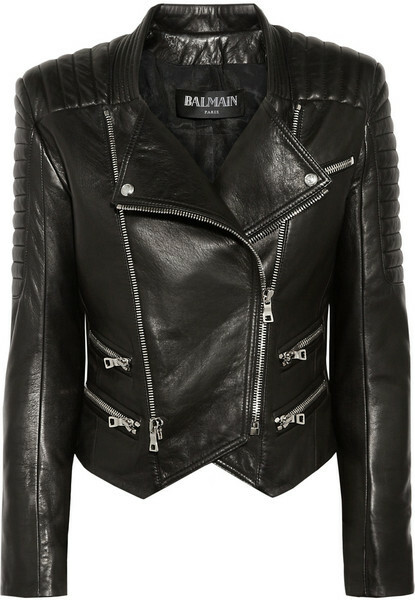 Balmain (Quilted Leather Biker Jacket): The timeless look of quilted leather married into the hard-edge family of biker-cool. 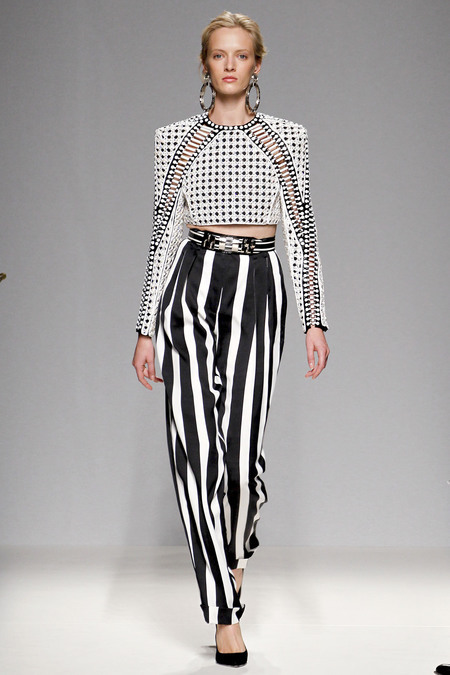 Pairs great with cotton tees, silk or satin blouses, cocktail dresses, denim anything or skinny trousers, and spiked, leather or satin heels, even leather boots or canvas sneakers. 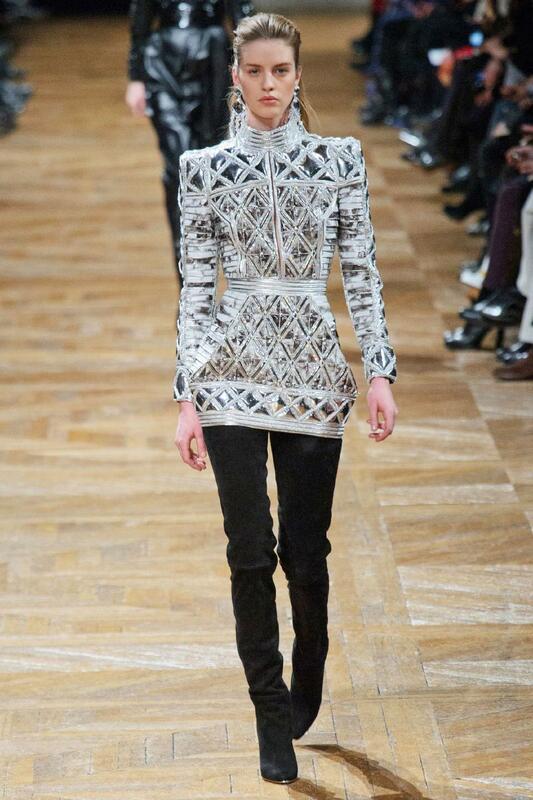 Balmain (Fall/Winter 2013): Like Chanel Paris-Bombay, the House of Balmain captures the pure essence of India and adds its own twist with turtleneck tunics in metallic-diamond, pleated leather and metallic stripes, wide belts in hardware with lucite and metallic. Skinny denim stood alone or coupled with a mini-draped wrap-skirt. 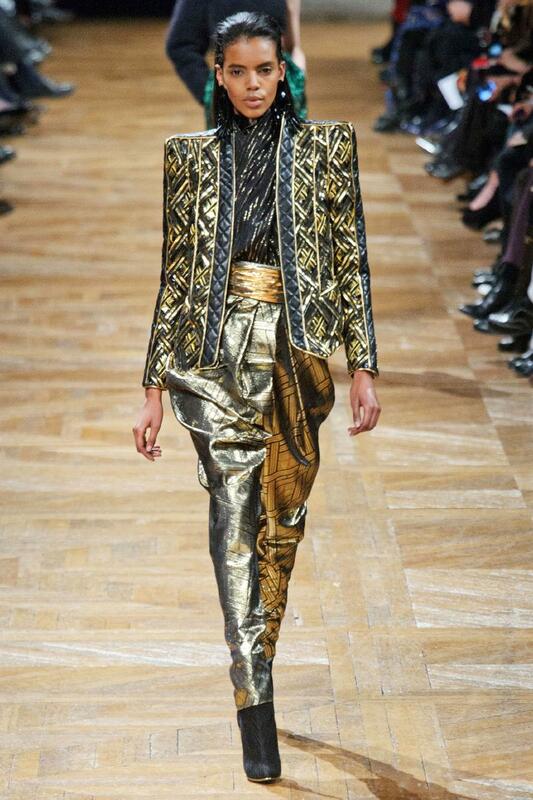 Harem-chic was also present, and a metallic blazer-jacket with a leather quilted hemline makes a runway breakthrough.